The world has gone nerd crazy for Star Wars once again! It's crazy to think how much of an impact the films have had on the world of movies and although thousands of people queue to be the first there at the opening night, the toy world has got fans equally as hooked. 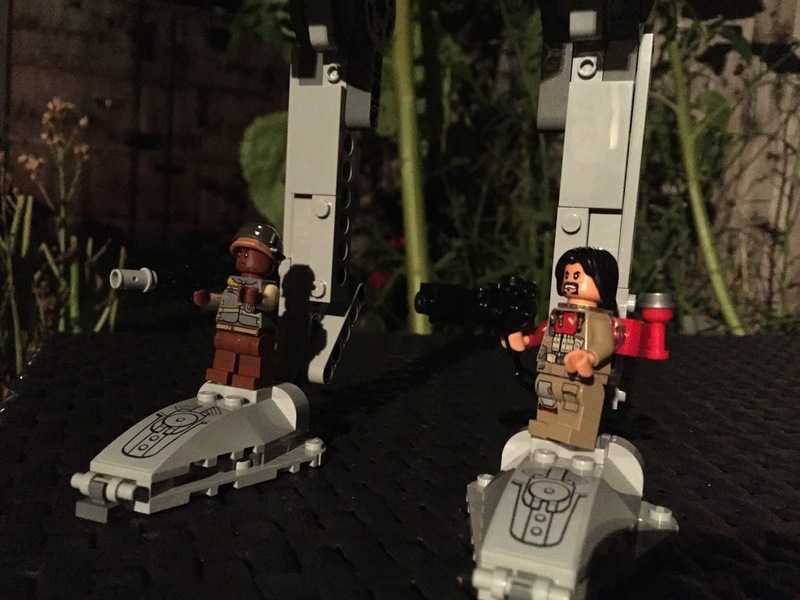 I'm writing this post this evening because at midnight the toy stores will be able to sell the toys and merchandise from the upcoming Rogue one movie. It is important to know that I actually didn't think much of The force Awakens and I felt the same about the three movies that came before it, I am a classic Star wars fan through and through. This does not at all hinder my views on the merchandise though. Disney does an awesome job with its licensing and the companies that supply the products and they are everywhere in stores and taking over social media (we all remember the laughing wookie lady). For me, as you can probably guess, it's all about the LEGO! 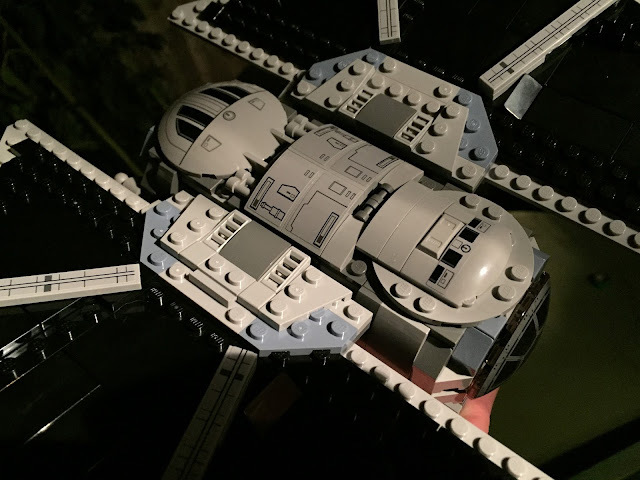 I thoroughly enjoyed my solo building session a few months back when I sat outside building the Resistance X-wing fighter. I find building so relaxing, Mrs M always jokes that it is like meditation to me, transcending to a higher state of existence. 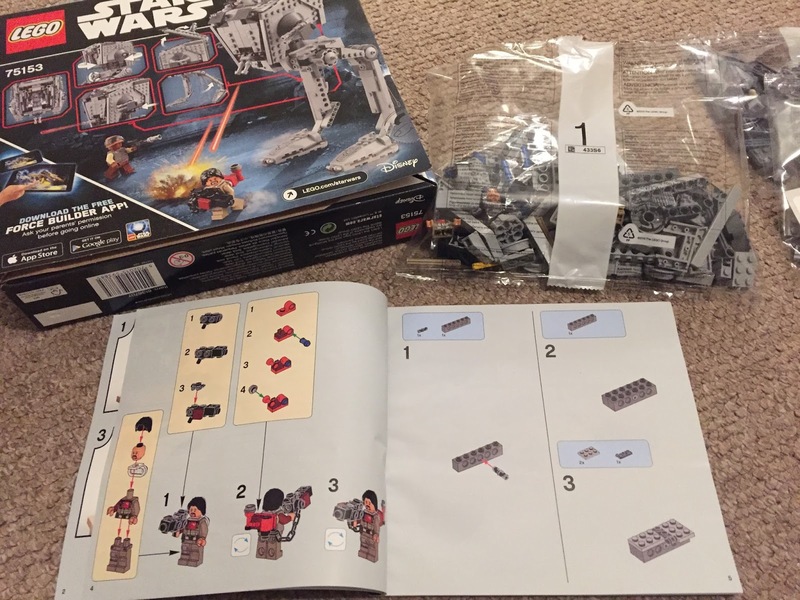 So being the selfish father that I am, I decided to yet again have a little me time. I thought about all those Star Wars fans turning up to the toy stores before midnight to get their hands on the new merchandise, and how lucky I felt to be sitting in the comfort of my own home, relaxed and slipping slowly into my brick trance. 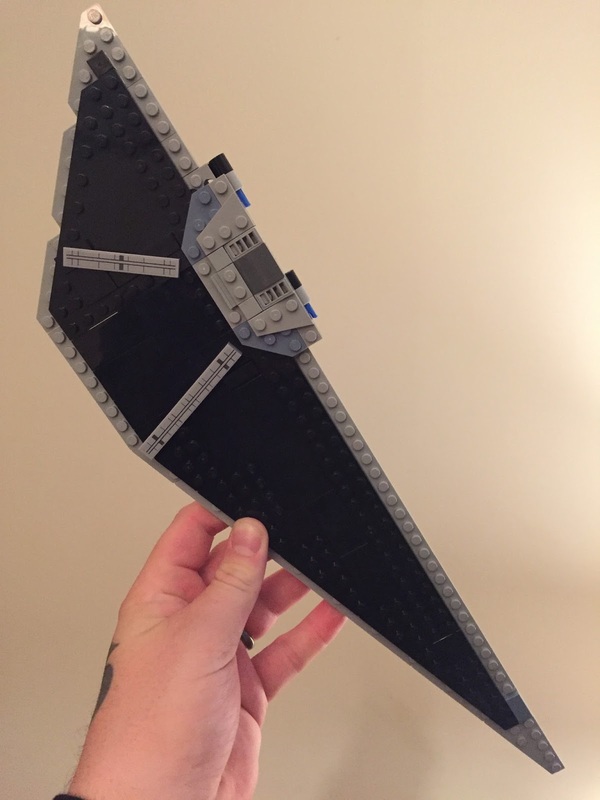 The only minor downside to the Star wars kits personally is the mass of grey bricks used. 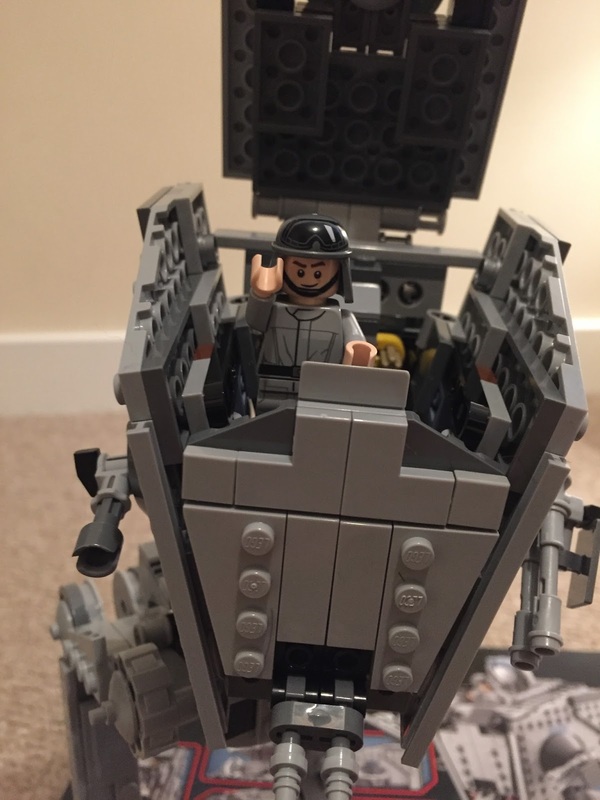 I love colour when I am building and would love to custom build all of the cult star wars kits in bright quirky shades. Which is why I jumped at the chance to build the Christmas Deathstar when the boys came up with the idea. 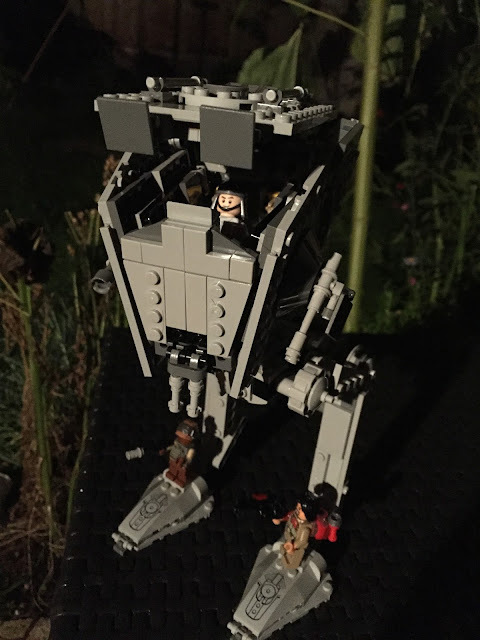 The AT-AT kit would definitely be on my colourful custom job list, with it being from the original movies. Being able to build the new AT-ST walker gave me a taster of that though. 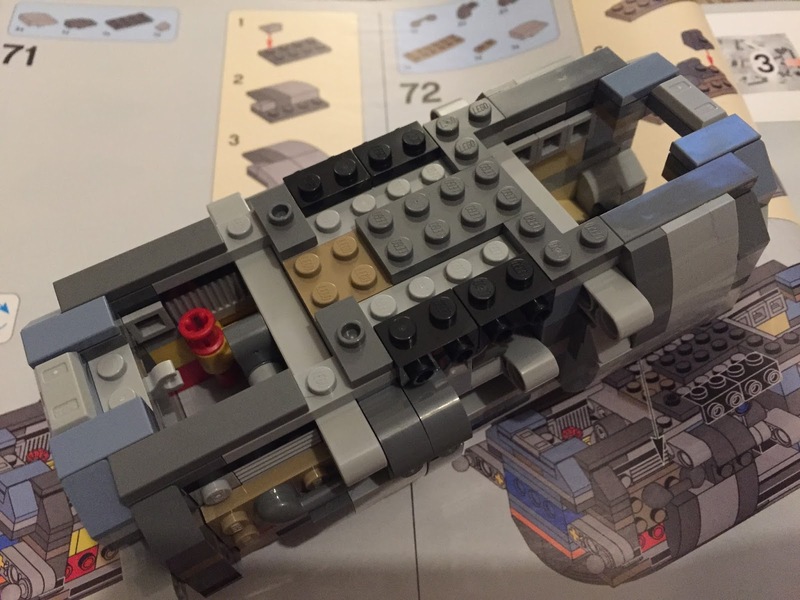 One thing I really love about the Star wars kits is the weapons, I'm not usually big on guns/blasters on my LEGO builds but I always find it interesting looking at the small parts the designers have used to add detail in to the weaponary. 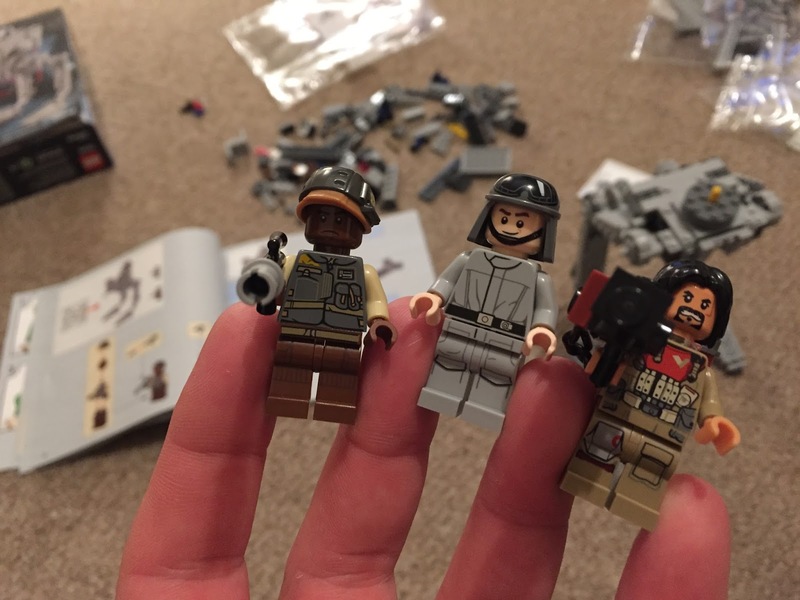 I had only planned to build the one kit and save the other for the boys to build. 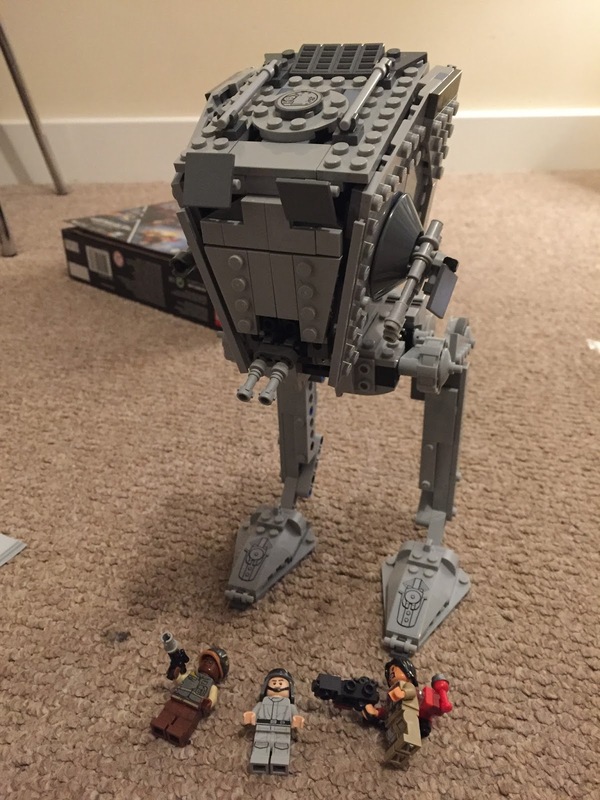 I got so into the AT-ST build though, that within minutes of completing the AT-ST, the Tie Striker was being unboxed. I didn't think for one second that I would stay up to complete it but I sat up until 2am clicking those addictive bricks together. The build was great but it wasn't until I reached the wings that I was really impressed as they are so big. 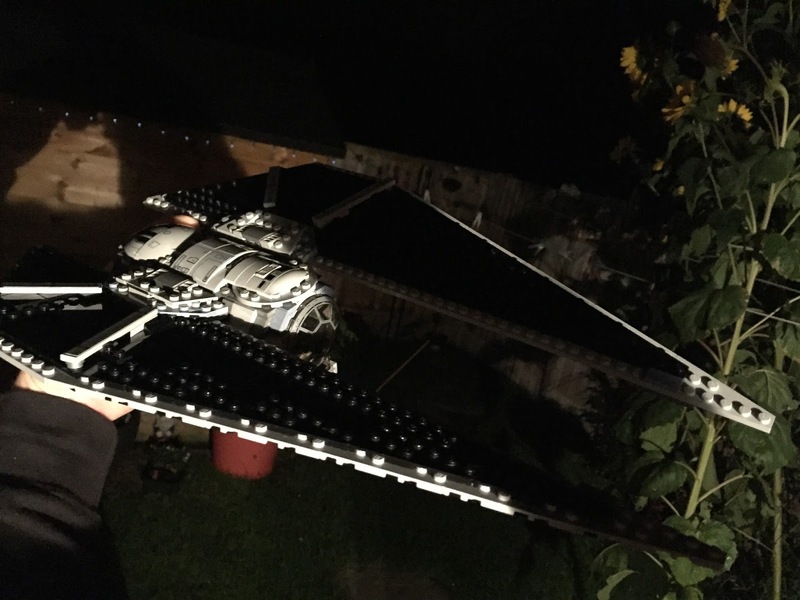 2am and with two new Star wars kits built, I couldn't resist taking them out in the back garden under the stars for a few photos for twitter as I had been tweeting away as I built. All geeked out it was time for bed, only to be woken up first thing by two other LEGO enthusiasts excited by the new ships and casually dropping hints at a possible new Death star delivery from that big jolly red chap in December. The new kits have us all eager for Rogue one just as I imagine that if you watched the movie first you would be eager for the release of the LEGO kits. 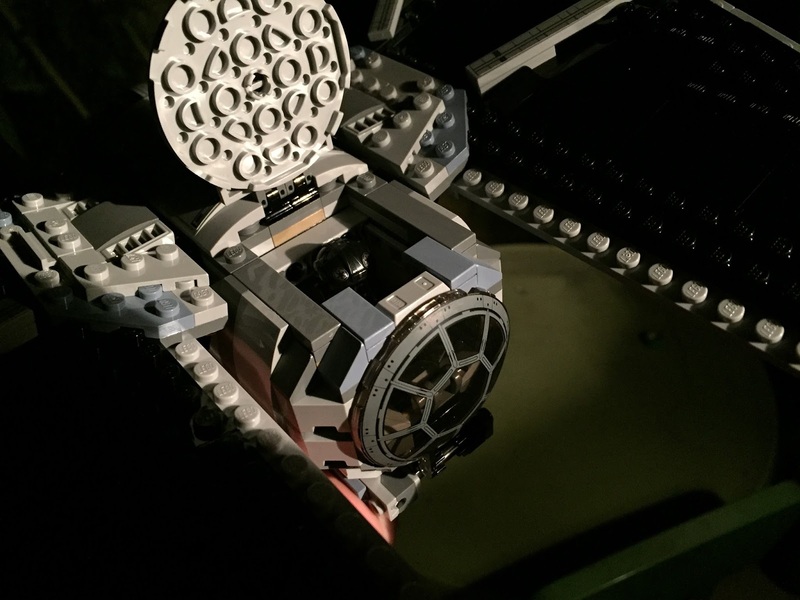 This relationship between Star wars and LEGO seems unstoppable and I cannot wait to see what comes out next. 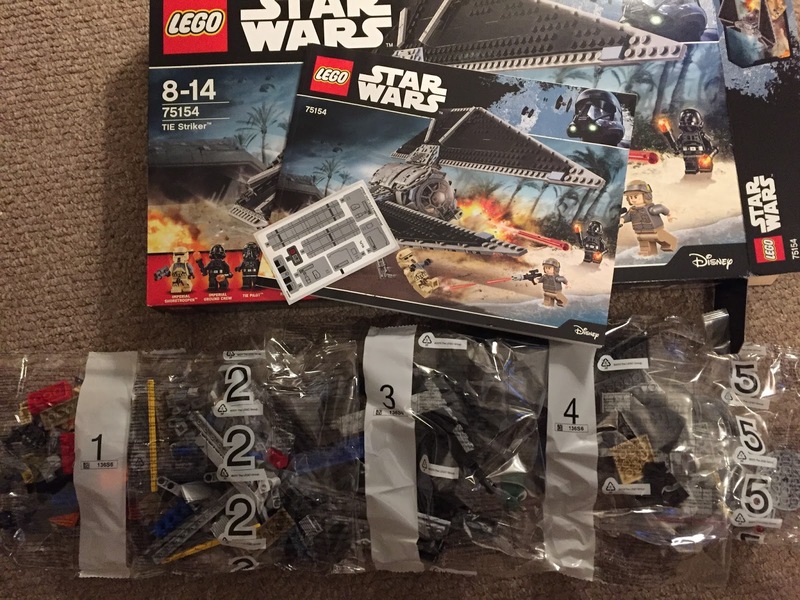 You can find the full range of Star wars LEGO here.